Part of the reason for the well-documented resurgence in independent bookstores has been their ability to adapt to the needs of their communities in ways that larger or online companies cannot. Booksellers are flexible, creative, and responsive, but they’re also adventurous, brave, and perceptive. We’re currently seeing these traits in action in the proliferation of alternative business models; in particular, the resurgence of independently owned and operated bookmobiles. ​Bookmobiles, long the purview of public libraries, have seen success across a variety of markets. 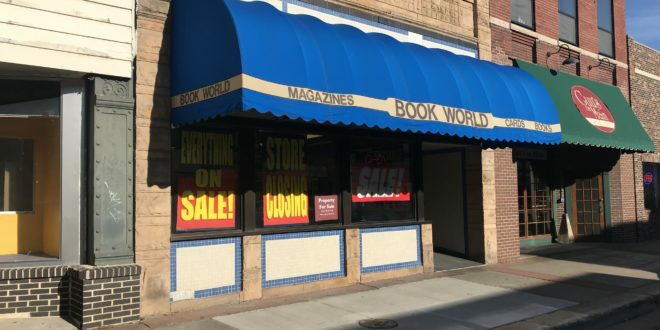 They have proven to be both a good way for existing stores to expand their market penetration as well as a low-cost way for beginning booksellers to develop their brand and customer base prior to opening a physical bookstore. This trend has not gone unnoticed within the business community, with articles from Forbes, The Chicago Tribune, The New York Times, Washington Post, and Huffington Post devoting resources to the topic. ​The Independent Bookseller™ spoke with a number of booksellers involved with a bookmobile about why the model appeals to them and what unique challenges it poses, and also sprinkled in some key quotes from the above-linked articles. The customer experience of shopping at a bookstore is pretty much like shopping at any other store. You walk in and see merchandise on display. Someone who works there may greet you and ask if they can help you find anything. You either find something you want to buy or you don’t. But for numerous reasons (I’ve boiled it down to ten), bookselling is substantially different from most retail operations. What Comes After the Big 5?